A Hong Kong newsmaker is chosen each month by HKFP. 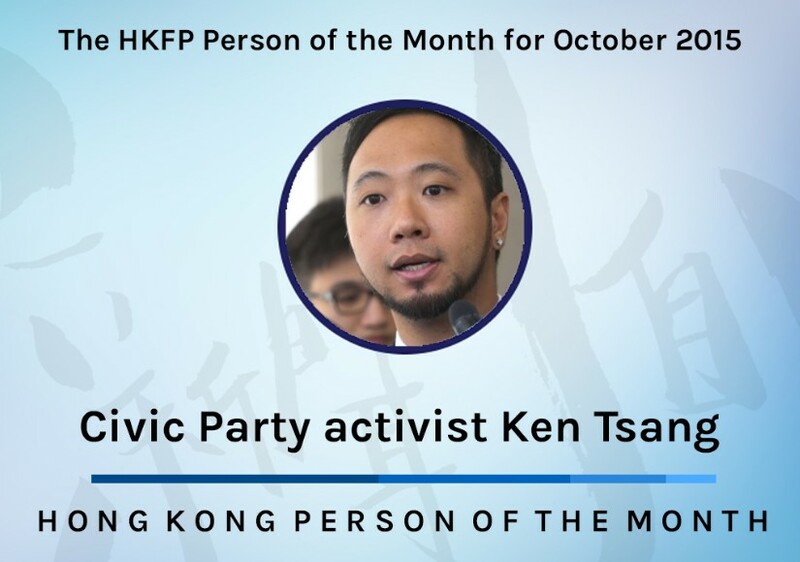 Ken Tsang is selected as HKFP Person of the Month for October 2015. On October 15 last year, video shot by a TVB film crew appeared to show seven police officers haul off a handcuffed protester from a freshly cleared Lung Wo Road to a dark corner in nearby Tamar Park, Admiralty. As the officers circled the protester, some allegedly took turns kicking and punching him while others stood over him, keeping watch. Despite an effort by the station to downplay the footage and remove it from subsequent broadcasts, the video quickly took Hong Kong by storm, stirring public outrage and catapulting the victim of the apparent attack, Civic Party activist Ken Tsang, to the status of an instant icon. 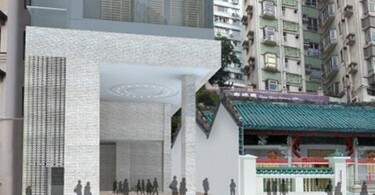 For the following year, the infamous “Dark Corner” of Tamar Park cast a long shadow over Hong Kong. As day-after-day passed without any charges being brought against the perpetrators, the public’s trust in the police force deteriorated to historic lows. By the end of the Occupy protests, even the People’s Liberation Army had higher ratings among Hong Kongers. The lingering wound, allowed to fester by official inaction, became the defining example of a new dynamic between the police and much of the public. A dynamic of mutual distrust, and sometimes even disdain, that emerged from the haze of tear gas on September 27. Exactly a year after the incident took place, the seven suspects were charged with wounding or striking with intent to do grievous bodily harm. They were granted bail of HK$1,000 each, with their hearing adjourned until November 17. 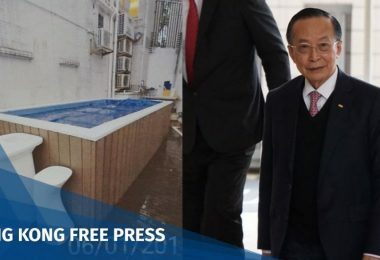 Tsang, too, was charged on the same day with assaulting and obstructing police officers by pouring water onto them from the embankment of the underpass at Lung Wo Road earlier on October 15, 2014. Both Tsang and his alleged attackers appeared in court on the same day, with Tsang’s case adjourned until December 9. 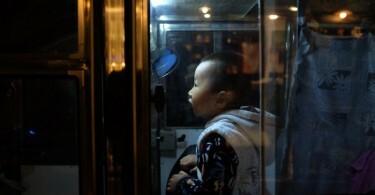 After wilting for a year in a Dark Corner, it is unclear whether the public’s trust in the police force will ever see the light again. The final verdict may very much depend upon the outcome of these two key cases.